The information below shows how your income might fall if you couldn't work. Is the shortfall bigger than you first thought? * Employment & Support Allowance (ESA). Assessment phase ESAs: over 25's, under 25's. These figures are for guidance only and should not be considered as advice. They may not reflect your personal circumstances. 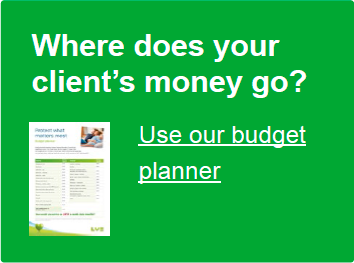 We've assumed you're employed and paying income tax and National Insurance contributions. We haven't taken into account any other deductions that may be taken from your income. These figures don't account for any state benefits (including any Universal Credit entitlement) you may receive or be entitled to receive, other than Employment and Support Allowance (ESA), or any income tax due on your ESA payments. 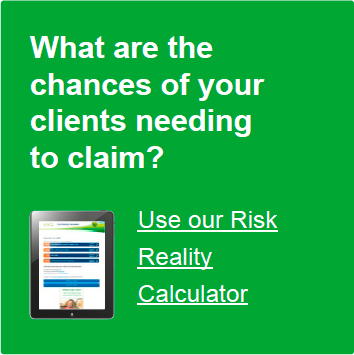 Please be aware that the money received at claim from a policy may affect your/your client’s entitlement to certain state benefits including Universal Credit. These figures assume that you'll receive statutory sick pay for the first 28 weeks followed by the basic rate (single person) ESA for the 13 week assessment period, after which you'll receive the basic rate (single person) ESA for the work-related activity group. Eligibility for ESA will depend on your personal circumstances, and may be different from that shown. In some circumstances, the amount of cover payable under Personal Sick Pay will be reduced. Please read the product literature for full details. Tax treatment is based on our understanding of current HM Revenue & Customs practice, which can change. When you're fit and healthy and feeling secure in your job, it's hard to imagine anything going wrong. But if it did, would you still get the level of income you (and your family) are used to? 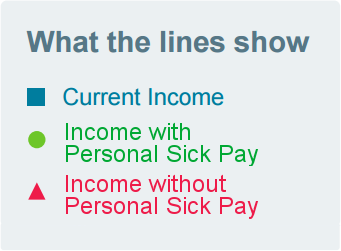 This easy-to-use calculator shows you how much income you could lose if you couldn't work, and how much of your income you could protect with LV= Personal Sick Pay.